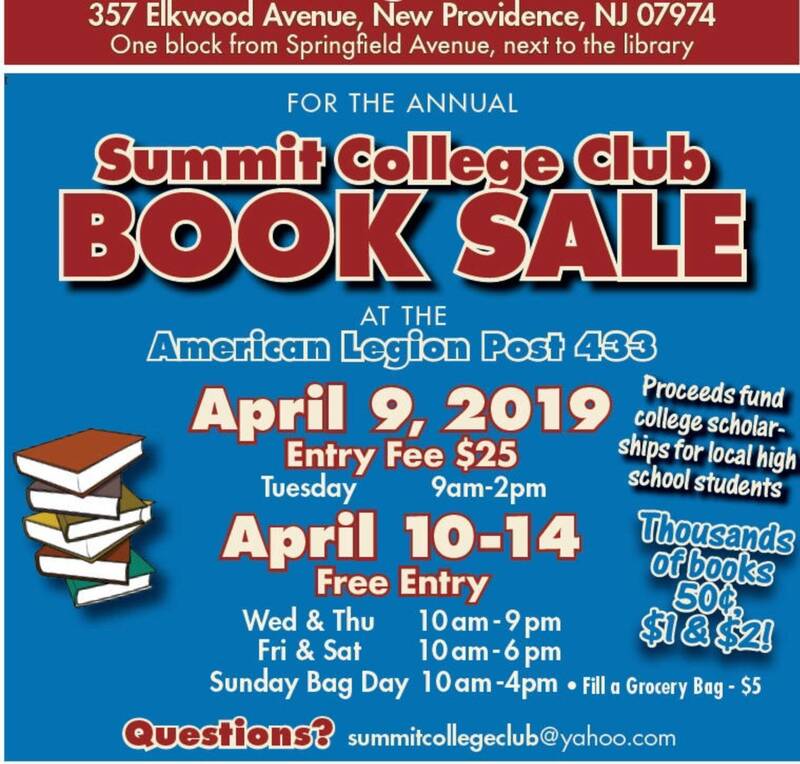 Members of the Summit College Club are preparing for its annual Book Sale, the group's main fundraiser for scholarships for area students. The sale is being held a few weeks earlier than usual this year, but at the same location, American Legion Post No. 433. The sale opens on April 9 and continues through April 14 -- see details below. The entry fee for the first day of the sale, April 9, is $25. The sale opens and 9 a.m. and closes at 2 p.m. that day. There is no entry fee on any other day. The sale will be open from 10 a.m. to 9 p.m. April 10 and 11, and from 10 a.m. to 6 p.m. on April 12 and 13. On the final day of the sale, April 14, between the hours of 10 a.m. and 4 p.m., buy a bag of books for $5. 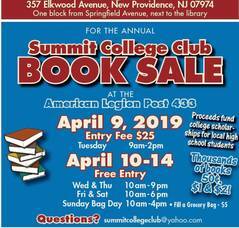 Send Book Sale inquiries to: scc-booksale@redoak.org.